How well do you understand your customers and their choices? And how well do you fulfill their requirements? Do you just introduce products and sell it out? Or, do you undertake any practice to analyze who your customers are, what they look for and how to meet with their needs in the best possible way? If you are cool with just developing products without taking the treads necessary to understand exactly what customers want, you have to be flexible on your approach! Indeed, it is not enough to create and carry out products in the market. You must know the buyers, you are approaching to and most significantly what needs they have generated. Armed with the best solutions for problems or needs, an ideal way to present them what they want is to use surveys. They are the most effective ways to judge their preferences. Today, a gamut of online stores have information gathering tools, just to unfold right answers and get accurate business results. Alike surveys, there are many other ways of gathering feedback, it can be comments, e-mails, product forms and a lot more. Survey Rocket, built in SugarCRM is one stop solution that fulfills all the needs and smartly presented to your customers. Online store owners can send surveys to customers and unlock their specific needs. This customer survey plugin allows users to create multiple surveys using various templates with email templates! Use such emails as survey invitations to specific contacts, users, leads or accounts. Apart from this, there are a number of features, integrated with Survey Rocket Plugin which helps improve customer satisfaction. 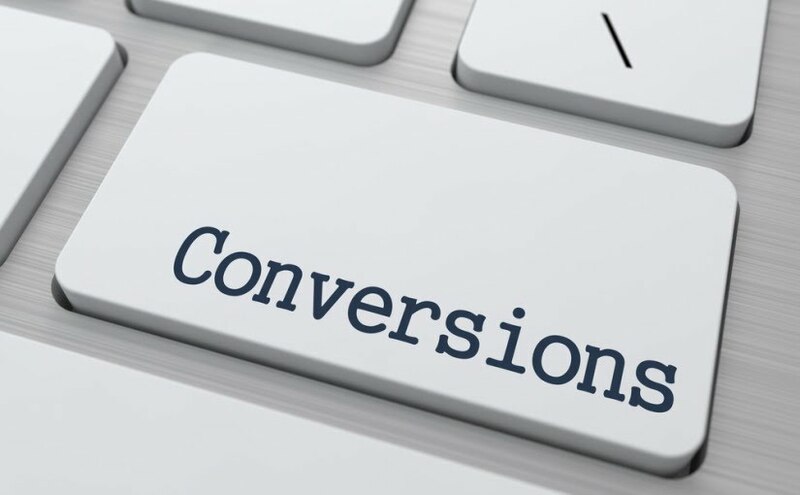 Apart from above important gains, users will also acquire below mentioned elements by integrating SugarCRM Survey Rocket Plugin to their eCommerce store. This way, users can understand the whole landscape of products needs, likes and dislikes. Such Plugins are smart, efficient and automated. Intensify the customer satisfaction by implementing professional solutions like Survey Rocket Plugin. It is surely helping enterprises to get success. Surveying customers is the key indicator which has been idealized in a futuristic way. So that, online stores can have transparent idea about customers and their feedback. The earth is not flat and neither are the much favorite products people buy! So, why to stick with flat print personalization when you can design products in a personalized way? Designing products online is a complete new solution of printable products with shape, size and depth? The market of online design tool is growing rapidly. Advanced product design tool brings all of the flexibility and ease; it is used in designing products like mobile cases, t-shirts, cards and a lot more. Such tools are the easiest, safest and robust web-to-print solution, enlarging the creative standards of users. The Online gift designer is one of the tools that is seamless, innovative and flexible. Different graphics, text, colors and many elements can be added to gift products and made it customized creatively. Online store owners can sell such products with flexible product designers and offer as many features as they want. This helps surpass the competitors with a peerless designing solution. Gift product design tool is a ready-to-use solution that helps design gifts online. The room for designing specific gifts is increased and made worthy to go! Customers can have a bunch of fresh ideas while designing gifts using the design tool. Thus, it gives new lease of life to the online gift stores. Given the biggest shift for the customers’ shopping behavior, such online tools are the great helping hand for the success of eCommerce stores. Why an online gift store owner should opt for gift design tools? Well, reasons are many! Key reasons are mentioned below. There is no better way to generate great ROI & revenue streams of eCommerce store for sure! Get the impeccable gifting solution, powered with striking feature set. Trends of having eCommerce apps are grabbing the attention of users; there are a number of users who like to use online stores on their smartphones since the responsive sites are much in demand these days. Industry leaders have observed that, mobile apps for Magento have increased to a great extent to make businesses portable, user friendly and renowned. MageMob Cart is one such Magento cart application that helps elevate the online shopping experience. In order to design and develop such amazing Magento mobile cart solutions, to keep up with the increasing customer demands becomes necessary. Mobile apps have become an essential part of our lives and when such apps are used for online shopping then it becomes the most significant source for the shopping lovers. Magento is the best platform to develop different apps. It gives immense custom made functionalities! According to the Magento experts, if your online store is not investing in mCommerce solution, then you are surely missing potential customers. The stores can be benefited in the most advanced way. Making your eStore available in the form of mobile apps would definitely augment the store availability at the same time boost your products & brand! MageMob Cart, a Magento cart application built for iPhone & Android helps you access online stores on-the-move! Placing orders from anywhere at anytime is more comfortable than going to physical stores or shops. Having integrated this app would provide the advantage of easy integration with a Magento store. This efficiently manages web store and application, everything from the admin panel. The recent survey stated that, shoppers who search products using mobile apps 75% of those shoppers order products directly from the mobile app! Thus, such Magento stores can be made portable and trust factor is built among the shoppers! With the help of mobile shopping cart app, conversion rates can be amazingly increased by cementing roles of mobile apps and Magento platform. Mobile apps are the backbone of modern eCommerce and play a vital role in mCommerce business. MageMob Cart: Is Your Magento Shopping Cart Ready For Smart Phone? A mobile application is one such platform that allows shopping freaks to make decisions whenever required! Making a Magento store available in the form of app is certainly a great idea from business point of view. It will definitely boost online store’s availability at the same time intensify the exposure of online products & brand. Having a Magento mobile application provides advantages of easy integration with existing Magento store. A smartly integrated mobile app helps form trust factors among the buyers, since it allows them to explore various features! The Magento mobile application allows shoppers to compare products and prices, reap benefits of promotional offers, all these can be done on your finger tips! Having a full fledged Magento mobile cart is going to valuably help you to increase sales, gain more new customers in a revolutionary world. Thus, it is totally an innovative solution that helps use shopping carts within a few taps! Magento mobile cart is one such app that allows users to access online stores on-the-go, on-the-move and on-the-fly! Users can shop online through Magento stores from any nook and corner of the globe. MageMob Cart is a user friendly application that has imparted various business benefits and made its niche tremendously in the world of mobile & Magento. To run ecommerce stores, you must get such app with all latest features, that would give shoppers a satisfying user experience and help your store become a Brand! Building and installing MageMob Cart won’t take much time or require a hefty pocket! This app is affordable, secure and robust at the same time, offers advanced features. Users can run this app on Android & iOS platforms in no time! Retain old customers and get new customers by integrating Magento mobile cart application to your store! It is highly impressive, prolific and productive with a pleasing user experience! However well-known your Magento store is, if it is deployed with the MageMob Cart app then, you will have a quality add-on to your Brand. Odoo provides the best-in-class business suite, which helps augment the functionalities of any industry verticals and their needs. Odoo themes have been created to survive in the competitive era. In a way, the centralized approach here is to offer security, stability and growth. If you have an eCommerce store, then integrating your eStore with an Odoo ERP theme will be certainly an icing on the cake! The Odoo Kingfisher eCommerce theme comes robust, responsive and agile. Users can go online with this theme and intensify the performance of the website. Not only this, it can enhance the features as well. If you want to boost the conversions of your eCommerce store then, Odoo themes are the best pick to choose from! Let’s unfold what aspects are bagged from this theme. The kingfisher theme has been designed and developed with an aim to help various industry verticals, as users can be from any industry or selling any product. The feature list is easily customized, hence offers an ultimate blend of innovation and flexibility to add and delete features of products. Product features can be displayed with CSS3 animation hover effects. This adds the creative animation impact on the product images! Odoo Kingfisher theme is well sleeved with five level mega menu to add as many products as you want. Users can add sub categories with clear navigation! It allows users to design rotating image sliders for the websites, offering the most astonishing look & feel! Logos can be added and easily displayed above the footer of the website home page through customization! Display contact form for online customers. The form provides details with Google map API. Modules of newsletters are added easily. Users can send out them to specific consumers periodically! With the help of these many aspects, eCommerce store owners can fulfill the business objectives and increase conversion rapidly! Revolution – the word brings to the great shift! It has expanded in various wings of shopping opportunities by giving personalized solutions to online stores, especially eCommerce. As we know that, eCommerce stores are booming these days on leaps and bounds, it is evident to keep pace with innovative things; this helps establish your store in a futuristic way. “One size fits all” – this has been often heard by the buyers! To strengthen this very line, online shoppers are now availed with unique tool, which is an online T-shirt design tool, designed for tee shirt buyers/lovers! T-shirts can be designed in a personalized manner, isn’t this great? If opening a fashion portal is on your mind and you are looking for such innovative feature, then online T-shirt Designer is any time a good choice. It brings your eStore to a level higher than ever before. Exploring tees online, designing them the way you want and delivering them as a gift is the wonderful thing a buyer would ever have! The online T-shirt designing tool has certainly become the hottest tool for fashion portals; such tools are integrated seamlessly with advanced features. The tool allows users to pick customized images, texts, clip-arts and crafts and attractive designs with a few clicks! An advanced t-shirt designer allows users to drag and drop functions and for that, no extra knowledge required for designing the tees. Thus, the creativity is boosted with the help of such software. How about the benefits reaped from t-shirt design makers? Let’s roll our eyes on a few of them. Offers a variety of options to create your own masterpiece and order it on the online fashion portal. Customized with clip arts, images, and creative texts, much more within a few clicks. A gamut of options available to modify the tees. Considering above key benefits, buyers will definitely flock to your eStore and get the privilege of putting on personalized t-shirts. Such personalized t-shirt designers eventually drive the online traffic. 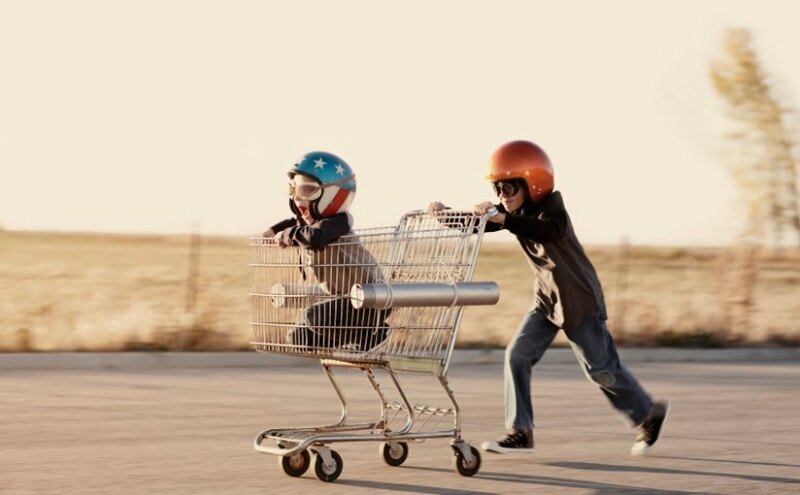 Magento Shopping Cart Apps: Faster Online Shopping Is Possible! The internet is a vast spectrum that unfolds a plethora of market opportunities for different business sectors, to become a Brand! Consumers are going mobile and turning audiences into a great sale. We see many times, sales leads is an easy task which requires less advanced tools than just a mobile application or website for users to access! Business owners believe that mobile apps are worthy for established businesses. However, on the other hands, businesses, regardless of size and type can benefit from mobile apps. In fact, today, Magento extensions are utilized as apps to beat the market. As per the recent market research, customers pick up companies which offer apps more positive outcomes than those which don’t! Magento Shopping Cart Application makes your business stand out differently. This helps you strengthen business relationships with customers. Apart from promoting brands, Magento apps can also help businesses feature products and services to boost sales. One such epitome is, MageMob Cart - Android & iOS App For Shopping Cart, which allows customers access Magento store on their iPhone & Android phones. And they can place orders on-the-fly or on-the-go! 76% of app marketplace generate better revenue so that users can make purchases with pre-entered and saved cards’ information. Below are key benefits of MageMob Cart application. Customers can carry online store with them anywhere and place orders anytime! It is highly easy to use, manage and navigate. End users will find it user-friendly. This app increases the reach of audience which helps them go mobile on their smart phones. The key benefit here is, it increases online sale, which in a way benefits the store owners. Store owners will have increasing number of customers. This app helps augment the online visibility of eCommerce stores. With the help of MageMob Cart app, you can make your customers fall in love with your eStore! Not believing? Just try it once! Odoo ERP is best known for their scalability, reliability and cost-effectiveness. The themes help websites perform well with advanced features. Here we have Odoo Kingfisher theme that not only boosts websites up but also proffers user friendly feature set to its users. Packed with hi-end features, an Odoo Kingfisher theme allows websites perform flawlessly. The extraordinary elements involved in this theme are, CSS3 animation hover effects, custom made product list, dynamic mega menu, contact form, sponsor logos and newsletter! Since this theme offers better functionalities, it serves all sized enterprises with great process planning and management efficiencies. To give an alluring look to the website, Odoo Kingfisher theme is used. The ERP theme makes users fascinated about the user experiences it offers. Using this prolific theme, business owners can promote their business in the most professional way. It is indeed an uncompromising business solution that offers a gamut of features. One of the key features is its dynamic mega menu that offers multiple benefits to the users; Megamenu solves options visibility problem, which means it offers a broader span of options to view/display! It also allows adding and displaying the selected products and their categories. The mega menu is displayed up to three levels! Doesn’t it sound great? The mega menu allows responsive and visual categories into different groups. Another useful yet promising feature is New Arrival section! The section allows store owners to have newly arrived products, which can be added as and when required. New Arrival section helps attract buyers/customers for particular offerings. Odoo ERP themes are customized in whichever way you want. It is certainly an attractive solution that enhances websites’ overall presence. What are you waiting for? Pick Odoo Kingfisher Theme to make your website feature rich, user friendly and responsive. Avail An Odoo Checkout Terms & Conditions App and Say A Big No To Sale Disputes! There has been a wide range of Odoo app to make an online purchase remarkable. The attractive Odoo themes are introduced to serve different business verticals with comprehensive benefits that offer long term business success and desired benefits. Odoo Apps are feature packed with extensive functionalities. One of the prolific apps called – Odoo Check out Terms and Conditions offers a great user experience with flexible options to choose from! With a motto to satisfy buyers/customers, Odoo App accurately helps online businesses augment their customers’ shopping spree! Customers can know the terms & conditions before they check out from the eCommerce store! They can be notified with precise conditions before they proceed further to make payment. Terms and conditions can be customized as per the requirements by the store owner prior to make it visible online to the buyers. Change language as per your understanding, thus you get a better idea about products’ several policies and conditions. Moreover, the store owners can set the names of different links to open terms & conditions in the pop up. They can set various categories like purchase - return policy, conditions and so on; this helps gain customers’ trust in a better way. This way, the user experience can be intensified! To develop, Odoo Check out Terms & Conditions, it requires niche yet systematic process which can later result overall performance to a reliable App. It sounds good when the entire business verticals with such exclusive solutions make a functioning move on eCommerce platforms! It is certainly a matter of success when online stores are deployed with revolutionary Apps; this can help them achieve desired business objectives rapidly! Different industry verticals, which are willing to grow can now have unbeatable enlargement with simple yet intuitive Odoo applications. Using this app, customers can go through the terms and conditions before they mark “I agree” in the checkbox. This is indeed a magnificent app that is crafted for the modern businesses to grow with excellent features. Odoo Check out Terms and Conditions app surely adds value to eCommerce businesses; it also helps avoid sales disputes in a long run. Extremely convenient to the online stores, this app is expanding the parameters of shoppers and the businesses to a great level. Then what are you waiting for? Bag this app to have all new dimensions to your online store. The key to ecommerce platform is the flexibility and uniqueness to build the stores impactful. And for that, Magento is the best ever choice to go for! Especially the extensions, those are reliable, scalable and robust in nature, helping online stores gain lot many benefits. In order to improve the store productivity, Magento extensions are integrated to bring in state-of-the-art features and functionalities. Several Magento extension development companies come up with businesslike products to give eCommerce stores, a whole new edge! One such product is – product designer or product designing tool, mushrooming at a great velocity, due to its cost-effectiveness, robustness and suppleness! Many online store owners prefer to go for an advanced product design tool which helps promote products in a better way! Today, such extensions are ahead of the rivals – reason being the ability & custom made features they offer! You will find product designer uniquely presented in a different style. If you have been planning to establish an online store and searching for an exclusive feature that can set your eCommerce store apart, then Advanced Product Designer is just like an icing on the cake! As we all know that, customers can’t be easily enticed in a better way than by offering them with custom designed products! Having this tool, you can be one step ahead and offer a great bunch of personalized products – t-shirts, mugs, pillows, cases and a lot more! Integrating these tools can lead you towards a noteworthy success! Your online store can be seamlessly integrated with such tools and let the customers design custom products of their choice! This will certainly drive more traffic to your store for a simple yet foremost reason that, buyers will have a chance to design various products on their own! Other products such as, caps, cards, hoodies, mobile cases etc can be personalized with creative designs, different colors, stylish fonts, personalized images, etc features! You will have a plethora of standard features when you have Magento product designer extension integrated to your online store. The good news is, the HTML5 basis provides fast paced page loading! Of course, customers/buyers would love it. Moreover, Google gives eCommerce store owners the additional points in the page rankings! It offers user friendly interface to its users so that, they don’t have any difficulty to design products online. Thus, it is a trouble free online tool that gives a modern shopping experience! Indeed, online stores have started gaining more profits and purchases in the market niche! Customized products are the answer to their improved sales and revenue!